You know that you’re only going to get one set of teeth, and you don’t want to end up with implants or dentures. After all, that process really isn’t fun, even if it can save your mouth down the road. You want to avoid it if possible. That’s why taking good care of your teeth is so important. While you probably know some things, there are lots of other tips to help you maintain a healthy mouth. Use these tips to guide you. Most people brush in an up and down motion that isn’t good for the teeth or gums. Instead, brush in an upward or downward motion that helps the gums. If yours seem to be receding, brushing down can help that. Brushing up can help gums retain some of their firmness. Flossing is something everybody should do but many people don’t often enough. Ideally, you should be flossing after every single meal and after you eat. However, if you can’t do that, you should be flossing at least once per night before bed. Otherwise bacteria between your teeth could damage your enamel and gums. Mouthwash is an alternative to flossing and brushing, not a replacement. If you like to use mouthwash, look for an alcohol free version, and use it sparingly. You really shouldn’t be using mouthwash more than a few times per week. Contact us to learn more about taking care of your teeth the right way. Perhaps, it's the intense heat and dry sticky atmosphere, the terrible unsolved traffic and price hike of our commute hubs that made me so lazy to go out to shop. Good thing, there's online shopping for people like me. As multiple e-commerce shops are sprouting about, the next thing I was asking for is one site to stop by where all the best deals are and that's when I discovered iprice.ph. iprice.ph headquartered in Kuala Lumpur, now serves online shoppers across seven countries: Malaysia, Singapore, Indonesia, Philippines, Hong Kong, Thailand and Vietnam. 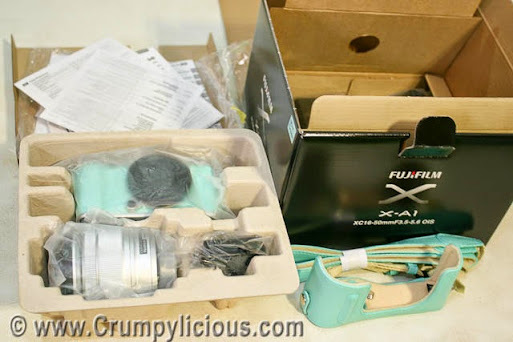 When shopping across the-commerce jungle where I can't physically try out or test the item, I have this wise tactic of sticking with my favorite brands to assure my satisfaction. Good thing I can search by brands through iprice.ph. 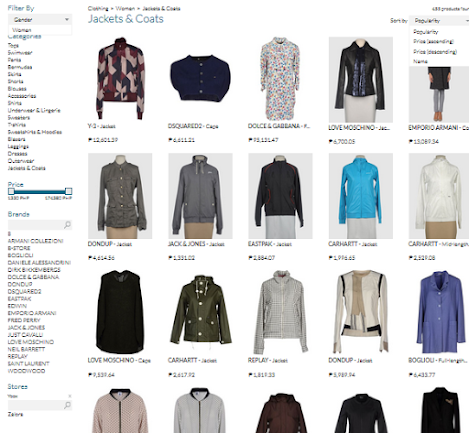 Next to brand searching, you can also select the specific item you need. Rushing to buy a dress for a party? Then, click on. So easy right? You can save more using different coupon codes and see good offers from iprice.ph partner stores. 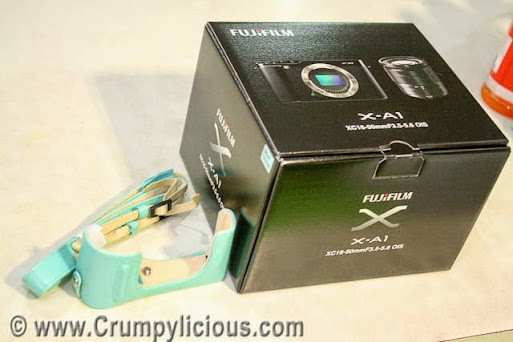 You can be updated with the latest products and offers through their newsletter. After watching the movie “Love, Rosie” (as suggested by all my sisters) and loved it. My little sister suggested I read the book as the movie is missing out a lot. It took me a long time to finish it but as my little sister is always right, it is indeed one of the best romance book I’ve ever read. The author of “Love, Rosie” is Cecelia Ahern. She is also the author of "P.S. I Love You" which is set in Ireland too. I also watched the movie of “P.S. I Love You” but it didn’t leave any lasting impressions upon me like this one. As the book is so good, I just had to write about it and etch it as a milestone. The entire book is a documentation of correspondence or communication between the characters via email, letters, text, instant messaging, phone etc. The main characters is Rosie Dunne and Alex Stewart. But, it also has a mini story on Rosie’s Daughter Katie as well. (This is not delved into in the movie). Yes! Their story lasts that long that it overlaps with Rosie’s love story already. The hardship doctors go through. “College is a lot tougher than I thought it would be. There’s just so much studying to do; so much reading. I barely have a social life. I’ve got four years here in Harvard then I’ve to do about five to seven years in a general surgical residency so I’m estimating that I’ll be fully qualified in my specialized field (whatever that will be) by the time I’m one hundred years old. 2. How mothers sacrifice their life and dreams for their kids. 3. Anyone can make mistakes and we can’t judge them. I have to admit, I used to have a negative impression on people who go through double divorce. I used to think they are not taking marriage seriously but perhaps, they are just lonely. She got pregnant at 17. She got cheated by Greg and got a divorce. She sacrificed moving to Boston to Alex for Katie to be with Brian the Whine. He got married to Sally Gruber, have Josh and get a divorce. Marries Bethany, have Theo, get through 15 years of a miserable relationship (hoping to make it work until Theo moves out for college) and get a divorce. Ruby: “Katie is not going to go off the rails because suddenly she wakes up one morning and she’s 16. People do whatever the hell they want to do at any age they fancy. Last month you were 36. That means you’re 4 years from 40. Do you think that the day you reach 40 you will be any different than you were at 39 or 41 for that matter? People create little ideas about ages so they can write silly self-help books, stick stupid comments in birthday cards, create names for Internet chat rooms, and look for excuses for crises that are happening in their life. 4. Human life is an irony in itself. Don’t Confess Over Letters No Matter How Beautifully Written!!! Man up guys! Alex wrote this letter to Rosie (her 30th birthday) and it was received 12 years later (she was 42 and Alex is married) due to interception. I’m returning to Boston tomorrow but before I go I wanted to write this letter to you. All the thoughts and feelings that have been bubbling up inside me are finally overflowing into this pen and I’m leaving this letter for you so that you don’t feel that I’m putting you under any great pressure. I understand that you will need to take your time trying to decide on what I am about to say. I know what’s going on, Rosie; you’re my best friend and I can see the sadness in your eyes. I know that Greg isn’t away working for the weekend. You never could lie to me; you were always terrible at it. Don’t pretend that everything is perfect because I see what’s going on. I see that Greg is a selfish man who has absolutely no idea just how lucky he is and it makes me sick. He is the luckiest man in the world to have you, Rosie, but he doesn’t deserve you and you deserve far better. You deserve someone who loves you with every single beat of his heart, someone who thinks about you constantly, someone who spends every minute of every day just wondering what you’re doing, where you are, who you’re with, and if you’re OK. You need someone who can help you reach your dreams and who can protect you from your fears. You need someone who will treat you with respect, love every part of you, especially your flaws. You should be with someone who can make you happy, really happy, dancing on air happy. Someone who should have taken the chance to be with you years ago instead of getting scared and being too afraid to try. I am not scared anymore Rosie. I am not afraid to try. I know what that feeling was at your wedding—it was jealousy. My heart broke when I saw the woman I love turning away from me to walk down the aisle with another man, another man she planned to spend the rest of her life with. It was like a prison sentence for me. Years ahead without me being able to tell you how I feel or hold you how I wanted to. Twice we stood beside each other at the altar, Rosie. Twice. And twice we got it wrong. I needed you to be there for my wedding day but I was too stupid to see that I needed you to be the reason for my wedding day. But we got it all wrong. I should never have let your lips leave mine all those years ago in Boston. I should never have pulled away. I should never have panicked. I should never have wasted all those years without you. Give me a chance to make them up to you. I love you, Rosie, and I want to be with you and Katie and Josh. Please think about it. Don’t waste your time on Greg, this is our opportunity. Let’s stop being afraid and take the chance. I promise I’ll make you happy. happiness and divorce in the future. Rosie: “I honestly don’t know what happened to me. I’ve been lying on my bed, staring at the ceiling ever since I got home trying to figure out what came over me. Was it something I ate that made me feel light-headed? Was it something he said that I could have misunderstood? I’m trying to convince myself that it was more than just the silence of the moment that changed my heart. At first we had so much to catch up on we were talking a hundred words a second, barely even listening to the ends of each other’s sentences before moving on to the next. And there was laughing. Lots of laughing. Then the laughing stopped and there was this silence. This weird comfortable silence. What the hell was it? Phil: Yeah but what do you mean by weird? Alex: Unusual, not normal. Phil: Yeah but was it good or bad? Alex: Good. Phil: And that’s bad? Alex: Yes. Phil: Because? Alex: I’m engaged to Sally. Phil: Did you ever have “the silence” with her? Alex: We have silences ... Phil: So do Margaret and I, you don’t always have to talk you know. Alex: No this was different Phil. It wasn’t just a silence, it was a . . . oh I don’t no. Phil: Bloody hell Alex. Alex: I no. I’m all over the place. Phil: OK so don’t marry Sally. Alex: But I love her. Phil: And what about Rosie? Alex: I’m not sure. Phil: Well then, I don’t see a problem here. 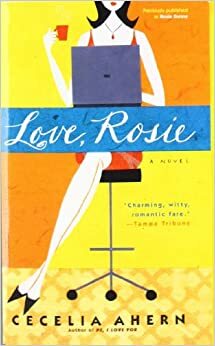 If you were in love with Rosie and not sure about Sally then you’d be in trouble. Marry Sally and forget about the goddamn silence. Alex: Once again, you’ve put my life into perspective Phil. << wrong advise lol! Ruby: When will it ever be the right moment for you? Rosie: When there’s the silence again. Ruby: What silence? Rosie: It doesn’t matter. Phil: No they’re not but the intention should be there at the beginning. Was there the silence thing with Bethany? Alex: Oh shut up about the silence Phil. Phil: You’re the one who’s obsessed with it. So, come on, was there the silence thing? Alex: No. Julie: But it was only your first date. You can never really tell these things by a first date. What did you want, fireworks? Rosie: No actually, quite the opposite. I want silence, a perfect moment of quietness. Julie: Silence? Rosie: Oh it’s a long story. But last night only proves that you can put me with a guy that’s perfect in every way and too good to be true and I’m still not ready. Everyone around me needs to stop rushing me. Alex: It wasn’t the celibacy I was referring to; it was the vow of silence that would kill you. Rosie: Funny. Well believe me Alex, there are certain kinds of silences that make you walk on air. Alex: That, I know. Alex: Phil she felt the silence too. Phil: Who, what, where, when? Alex: Rosie. She felt that silence too all those years ago. Phil: Oh the dreaded silence thing is back to haunt us, is it? I haven’t heard you talk about that for years. Alex: I knew I wasn’t imagining it Phil! Phil: Well then, what are you doing talking to me? Get off the Internet you fool and pick up the phone. Or the pen. Of course after she had received it, it hadn’t taken her long to reply at all. And as the magical silence once again embraced them, after almost fifty years, all they could do was look at each other. And smile. Is that heart-wrenching stuff or what? My legs nearly buckled from underneath me. It felt so odd that it was Toby that I was kissing but in another way it felt completely natural and I think that’s what the odd thing was about it if you know what I mean. Today I love you more than ever; I want you more than ever. I'm a man of fifty years of age coming to you, feeling like a teenager in love, asking you to give me a chance and love me back. Rosie Dunne, I love you with all my heart. I have always loved you, even when I was seven years old and I lied about falling asleep on Santa watch, when I was ten years old and didn't invite you to my birthday party, when I was eighteen and had to move away, even on my wedding days, on your wedding day, on christenings, birthdays and when we fought. I loved you through it all. Make me the happiest man on this earth by being with me. 1. If being in love a universal thing (relatable thing that’s the same for everybody)? Like the silence? As my good friend shared this fact and scientifically supported too, I once agreed to this. But, now I’m curious as to what if it isn’t so. If your current position of employment requires that your attire fit the description of business casual or professional, you know how important it can be to find a reliable source that offers the style of clothing you need. Chances are, you don't want to spend a considerable portion of your leisure time searching for clothes. Van Heusen shirts and pants can be your go-to collection for business attire and for clothing that will have you looking sharp at work and well-dressed for social events. You can make mornings less stressful if you have your collection of clothing strategically arranged in your closet. Choose an organizational system that works for you. You may want organize your shirts and pants by color or you may want to pair your pants and shirts together, along with any accessories you plan to wear, and have a total package ensemble right at you fingertips each day. A specific attire may be required by your employer, but comfort should be one of your personal requirements. Van Heusen clothing is made from soft, comfortable material that enables you to look good and feel great when wearing clothing from their collection. When you find comfortable, well-made, durable, business casual clothing, you may also want to make it the clothing you wear to evening and weekend social events. Co-workers, clients and friends may associate your signature clothing style with affluence, professionalism and high standards. 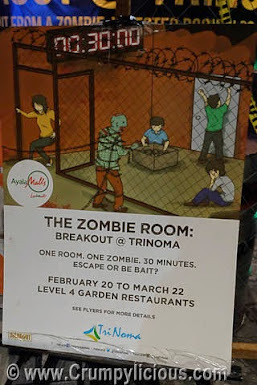 Yesterday, I was invited to try by Breakout Philippines along with other bloggers to try their special event called "The Zombie Room" that is available in Trinoma from February 20 to March 22, 2015. By special, it meant that it only lasts 30 minutes compared to the usual 45 minutes and they offer a special rate of 300 (plus 50 php surcharge) instead of 400 for online bookings. I was excited since I've always been found of puzzle games since childhood. In fact, this was not the first time for me. After, hearing about it from my brother who played the Breakout Philippines' Room 13 with his friends, my cousins and I played Breakout Philippines' Prison Room. 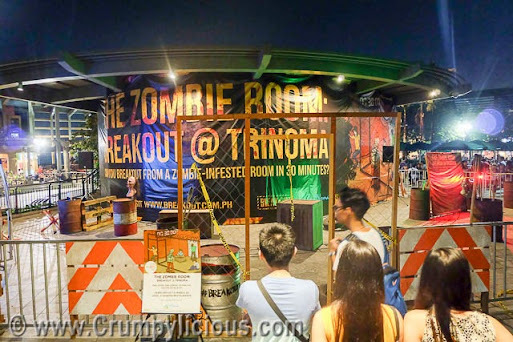 The Zombie Room is located at the Trinoma garden area (outside the cinemas next to Starbucks). It can accommodate a maximum of 8 players at a time. As soon as I got there on our scheduled time, I was teamed up with 7 other bloggers. We were oriented and made to sign a waiver. We deposited our belongings (everything except our wallet). Then, we were blind-folder and led across 7 steps and a dark room where an intro story was played. Compared to the Prison Room, The Zombie Room is guaranteed to bring more adrenaline rush as there are live moving zombies in the room with you! When I was young, my cousins and I used to go through haunted house in amusement parks like Star City and Boom na Boom (now no longer existent) and we'd always find it lame and wondered what the groups ahead of us where screaming about. Well, last night I finally understood why or how. As we were led to the dark room blind folder, my co-blogger Athena was so scared and squeezing my hard in fear, she along with the rest of the group were screaming or shrieking. I couldn't hear the intro and I heard "Kuya, wag po! and some other frightened words. And, then the game marshall announced that the game has begun and we have only 30 minutes to escape. I guess Athena was so rattled that when I approached her to ask if they found anything, she was started and said she almost had a heart attack. It took a few minutes of good breathing before she was able to recover. As the game progressed, my co-bloggers were shouting from time to time, "Ah hala ayan na yung zombie!" "Waaaa, ayan ayan na kakainin na tayo" etc. I'm not sure if everyone was able to grasp that we were supposed to find clues and solve them like a puzzle to escape together. After 30 minutes, we failed. As soon as we came out, I asked what stage of completion did we accomplish. I was told that we reached 50%. We then, had our group photo taken. Will I go back and try Breakout Philippines? Definitely! It's really addictive. Once you've tried it, you'd want to come back for more. I realized that each game is a different experience because, not only are the rooms a varying factor, the outcome and experience also depends on the people you play it with. Having played this the first time with cousins (all 18 of us divided into 3 team challenging each other), I could compare the experience if you've played it with family or friends who you are familiar with from playing it with acquaintances. I recommend playing it with the former is way better since the game is a puzzle game (on top of the horror factor) which is a test of wits and teamwork. When I played the Prison Room last year with my cousins, we all failed but accomplished until 80%. We then discussed the game over dinner and it's funny at how we all got there even though we found different clues or analyzed the clues differently. Combining everything and analyzing them together after, we could already hypothesize the potential answer. On the other hand, I have to come back and play The Zombie Room or I'll forever be clueless as to what the other puzzle pieces were found by my team mates. So bring along your friends, family or co-workers and try the The Zombie Room while you can! With the real live zombies, you'll know what it feels like to fear being eaten alive. I bet that will really bring out your survival instincts, pump up your adrenaline and push your brain to its maximum. You can book a schedule at http://www.breakout.com.ph/schedule. I suggest online booking as it's more convenient. We've booked several times via this method. With the slow turnover of homes in a depressed economy, many homeowners choose to update their home rather than sell their current property and purchase a different one. Sometimes the owner has the knowledge and ability to do the work themselves, but it is more likely the job will require the services of a building contractor. Finding the right contractor can be tricky, so prior research and consulting with several contractors is recommended before hiring one. Renovation Experts is just one of the available building contractors that offer their remodeling expertise in nearly any area of the home. Kitchens and bathrooms are the most popular home remodeling projects, but increasing the usable living space in a home is also a wise choice. Claiming additional space can often be accomplished by finishing a basement or converting unused attic space to an additional bedroom. Both of these projects increase the living space and home equity without adding to the original footprint of the home. Sometimes people find it necessary to relocate to a different city or another area of the country so their current home must be sold. Sellers often schedule needed updates before listing their home to attract more prospective buyers and increase the possible sale price. A knowledgeable building contractor can advise the homeowner concerning which updates will add the most value to the home at the most reasonable cost.